SodaStream is rejoicing in the failure of Keurig Kold. 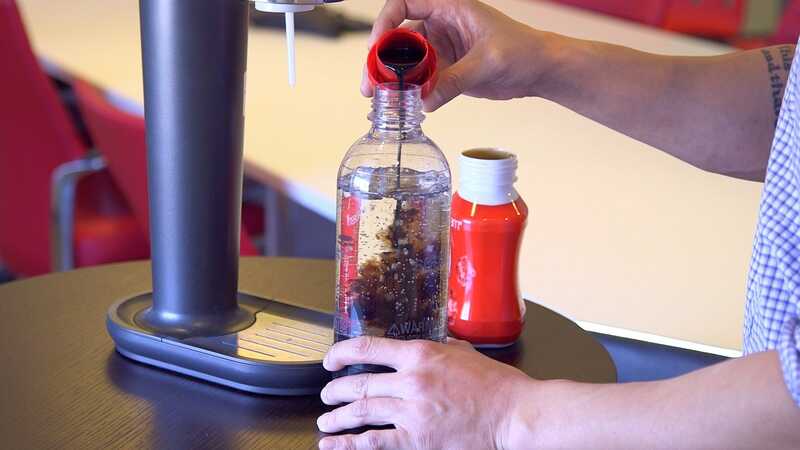 The company is giving away free SodaStream machines to anyone who bought the Kold, Keurig’s now-discontinued soda maker that was meant to compete with the SodaStream. In order to claim their free machine, Kold owners must email a photo of themselves and their Kold machine to [email protected] They must include their name, address, phone number and their Kold machine’s serial number in the email. SodaStream will then send them a promotional code that can be redeemed at the company’s website for a free SodaStream Fountain Jet machine which is an $80 value. Only the first 2,000 customers to email SodaStream before June 17 will get the free machine. Keurig announced this week that it would be axing the Kold, just nine months after its debut. The company was hoping that the $370 machine would give it a new avenue for growth beyond coffee. But it failed miserably. In reviews, customers said the machine was too expensive, large, and noisy.